Aguero’s gap can be filled, says Milner Manchester City midfielder James Milner believes that his side can cope in the absence of Premier League top scorer Sergio Aguero. Manchester City midfielder James Milner believes that his side can cope in the absence of Premier League top scorer Sergio Aguero. 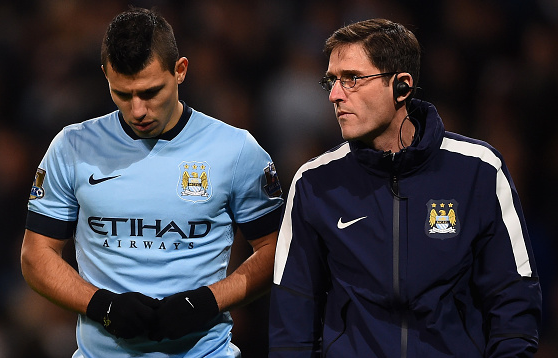 Sergio Aguero picked up a knee injury while playing for the Citizens against Everton yesterday. The Argentinean picked up only when the clock hit the 2nd minute of the game. James Miler is confident that Manchester City have enough quality which will cope in the absence of their star striker. Aguero has scored 19 goals so far this season in all competition. Currently, he is the Premier League top scorer with 14 goals. City have Stevan Jovetic and Edin Dzeko who both are eough capable of filling the void left by Aguero. Milner praised Dzeko by saying that he is a fantastic goal scorer and Jovetic is also expected to be back for the Citizens for the Champions League clash. Aguero’s return date will soon be revealed as it is reported that he will be having tests in the next few days. It is confirmed by the manager Manuel Pellegrini that the striker will be missing the Champions League important clash against Serie A side AS Roma. The Chilean will have to choose Jovetic or Dzeko for that role. Both of them had fitness problems in the past. Dzeko missed four games for City before featuring on Saturday. While Jovetic was not rushed due to hamstring injury.